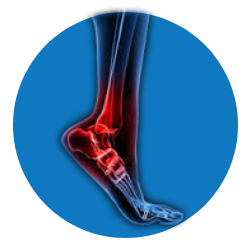 Heel pain is the commonest foot problem that occurs under the heel (plantar Fascitis) or behind it (Achilles tendinitis). The information provided on this website is only for educational purpose and is organized to best of our knowledge. It is not intended to serve as medical advice. Anyone having orthopedic related problems should interact with his or her orthopedic surgeon for further evaluation and treatment. Copyright © drnaveenreddy 2018. All rights reserved.